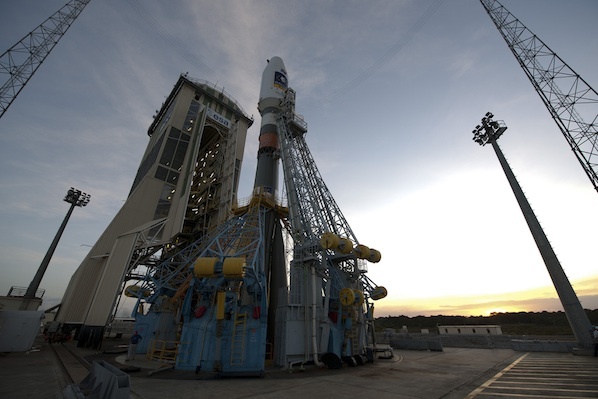 A Soyuz rocket is perched atop a brand new launch pad in the South American jungle for liftoff Thursday morning with a pair of European Galileo navigation satellites. 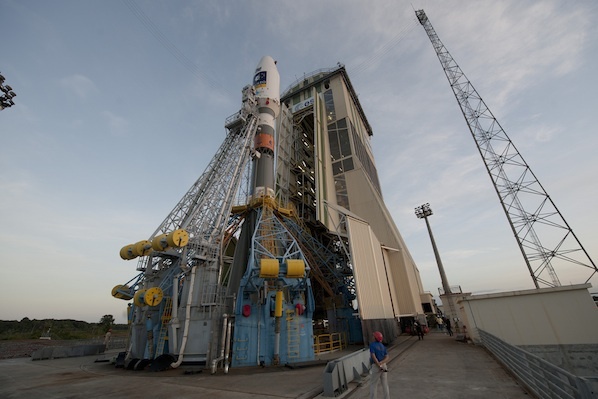 The flight is the first for the venerable Russian rocket from French Guiana, the launch site for the Ariane rocket family. 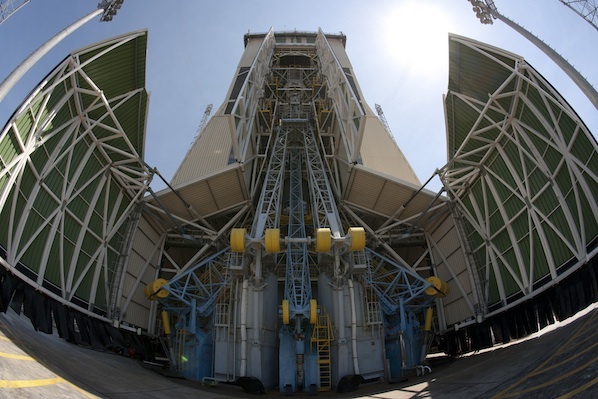 Russia and Europe are opening the new Soyuz launch site to allow the rocket to better compete for commercial and European institutional missions. 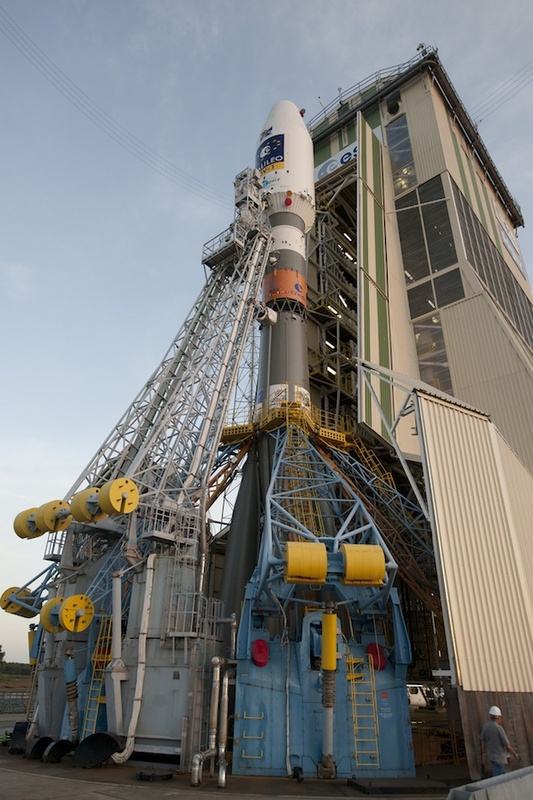 Launching closer to the equator gives the Soyuz a boost in performance. 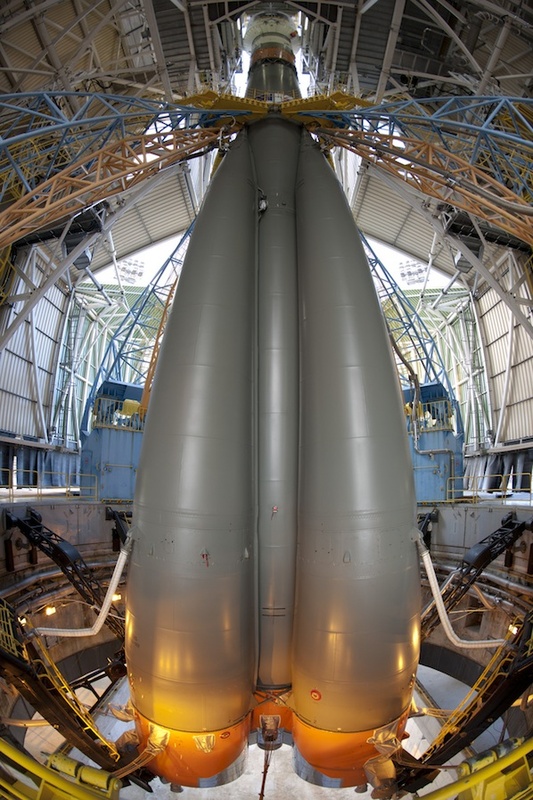 After being transported several miles north from the Fregat upper stage's fueling facility, the payload fairing was mated to the rocket Friday night inside a specially-built 170-foot-tall mobile gantry. The Soyuz rocket rolled horizontally from its assembly building to the launch pad earlier Friday, then it was lifted vertical. 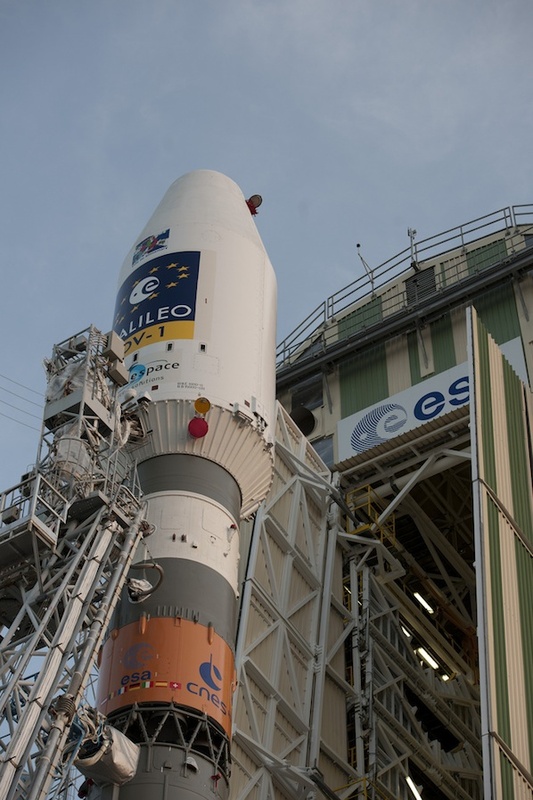 The Soyuz rocket's Fregat upper stage and the first two operational satellites for Europe's Galileo navigation program are inside the launcher's 13.5-foot-diameter nose shroud. These photos were taken Saturday after the mobile gantry retracted to the launch position to reveal the Soyuz rocket in launch configuration.